A woman owned, Green Certified small business, Surplus Service® serves the global technology, returns, government and healthcare markets and we don’t ship e-waste overseas. 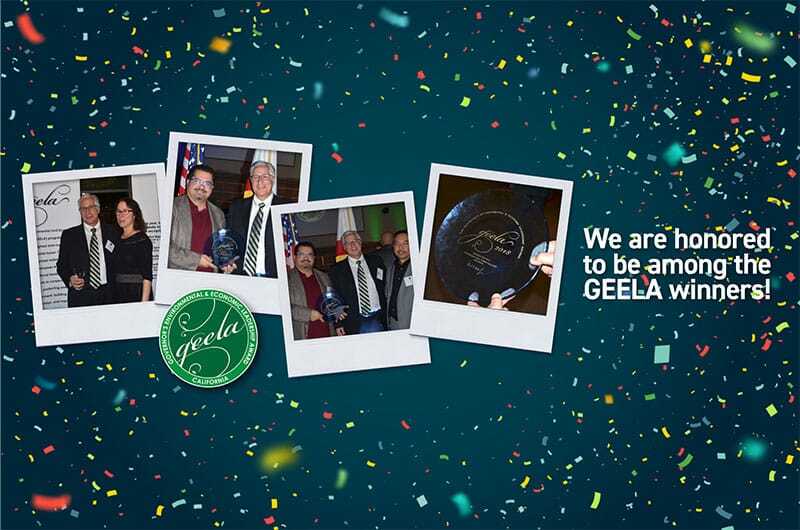 We are honored to be named the state of California’s, Cool California Business Award Winner of the Year and Acterra’s finalist with a select group including Genentech and Stanford for their Business Sustainability Award. We also serve as elected members for Santa Clara County on the Recycle Waste Reduction Commission Technical Advisory Committee. Additionally, we’ve been recognized in recent articles, interviews, and case studies by San Jose, Alameda County, Contra Costa County, StopWaste, City of Fremont and Small Business Development Center (SBDC) regarding with our UpcyclIT® practices of over 85% of what processes through our facility being reused or remarketed rather than simply recycled and sit on many committees as well as support many community education, outreach and “hard to hire” programs. Our goal is to prioritize Upcycling, the efficiency of reuse over recycling. We provide the most efficient, simple and secure way to “remove and dispose” of what you “don’t want”. UpcyclIT® reduces waste providing options for reuse which generally do not contribute to overall disposal. Over the years, we have removed tens of millions of pounds of waste from the environment. Our services enables users to highlight their Zero Waste reduction and green sustainability initiates. We take what clients don’t want and provide sustainability solutions focusing on repair and reuse for e-waste, depleted assets and returned goods to meet regulatory and security requirements, reduced costs and liabilities. We want people with passion, who want to be part of a growing business. Surplus Service is passionate about “Upcycling,” a reverse logistics model that gives depleted electronics a second life via reuse, refurbish, data removal, resale or eco-friendly recycling. In this role, you have the opportunity to make a valuable contribution to the environment. You will earn a great income, bonus and thrive in this growing industry. We seek a hands-on marketing person who can help drive traffic, exposure, conversion and revenue cost-efficiently using and managing all current marketing technologies. We need a marketing person that can expand our base and enhance our value added proposition to a targeted group of large companies and channel partners. Build and manage CRM system and marketing list management for newsletters, mailings etc. Directly write, update and maintain our copy and content development for websites, RFPs, email marketing, social marketing, collateral etc. Write social posts. Develop PR opportunities including presentations, speaking engagements, non-profit work, white papers, articles, newspaper, TV and magazine exposure, publicity around events, interviews etc. Competitive base with potential for uncapped commissions/bonus and a profit sharing plan Send your resume to careers@surplusservice.com.